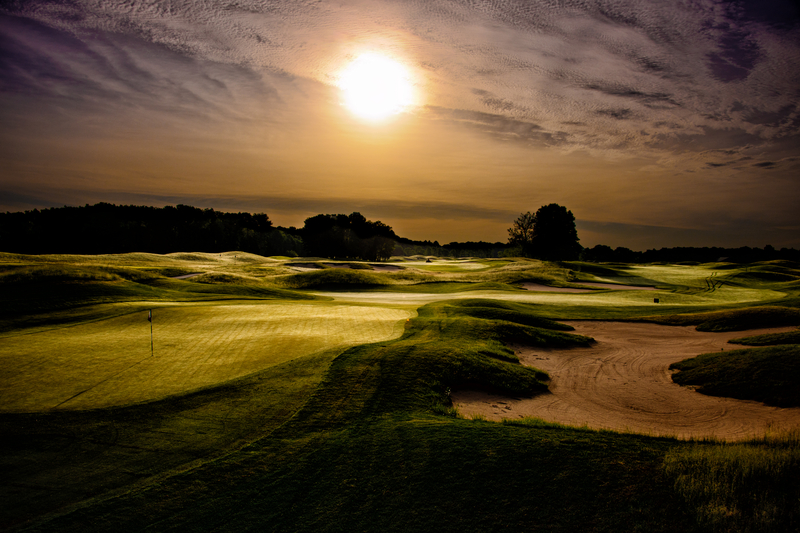 I’m working on a photography book, so I’m re-editing some of my golf course images. 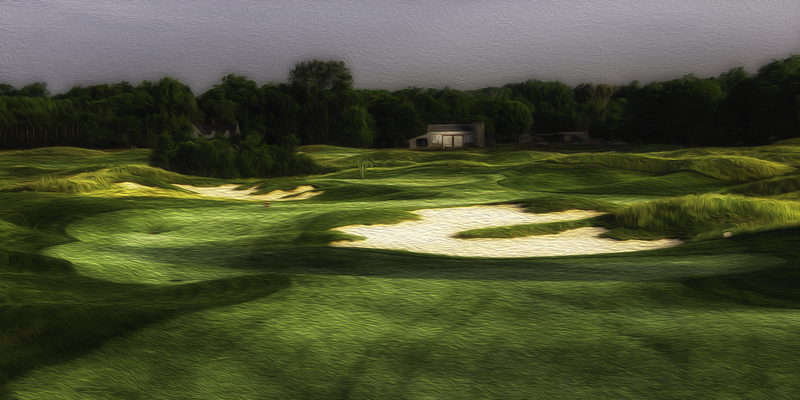 This image of the 8th hole came to life this morning as I was working on it. I used a filter that renders this painterly appearance. There are many reasons I like it, some I can’t articulate. But one in particular I can. In this image, the flag on the putting green reminds me of a match, maybe one that has just been blown out. Well if you’ve ever played the 8th hole with a tricky pin placement that resonates. The 8th green is absolutely huge, with a ginormous surrounding catch basin. It can be mischieviously difficult to get from one of those swails up onto the green and into the cup. I remember playing one day when James (our Superintendent) had placed the flag right on the ridge where the green breaks. The bailout you see pictured to the left felt like it was a million miles away. Of course I’ve also played this hole when the pin was place more towards the front of the green and it was less of a challenge. On a day like that the hole felt more like this image. 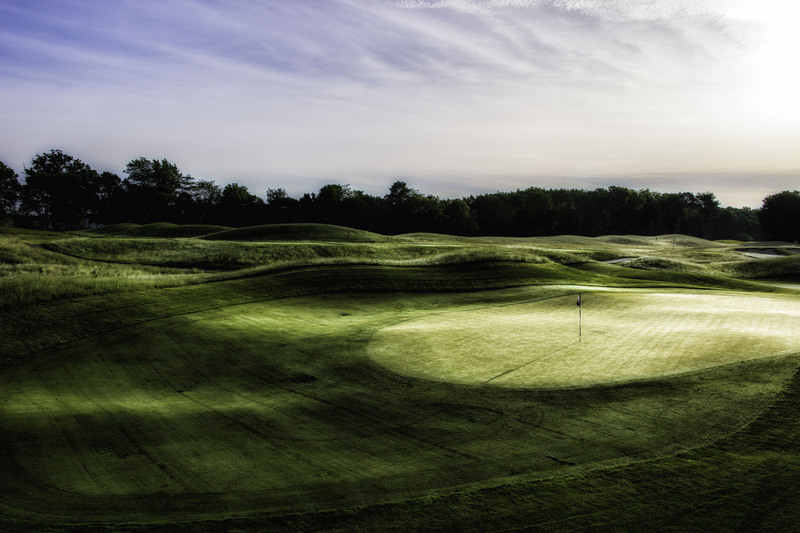 The same hole, different pin placements, and a dramatically different experience.